Hey Adrian, I really love the PyImageSearch blog. I look forward to your emails each week. Keep doing what you’re doing. Does OpenCV have any modules that can be used to read barcodes or QR codes? Or do I need to use an entirely separate library? The short answer is no, OpenCV does not have any dedicated modules that can be used to read and decode barcodes and QR codes. However, what OpenCV can do is facilitate the process of reading barcodes and QR codes, including loading an image from disk, grabbing a new frame from a video stream, and processing it. Once we have the image or frame we can then pass it to a dedicated Python barcode decoding library such as a Zbar. The ZBar library will then decode the barcode or QR code. OpenCV can come back in to perform any further processing and display the result. If this sounds like a complicated process, it’s actually pretty straightforward. The ZBar library, along with its various forks and variations, have come a long way. One set of ZBar bindings in particular, pyzbar , is my personal favorite. Inside today’s tutorial, I will show you how to read barcodes and QR codes with OpenCV and ZBar. And as an added bonus, I’ll demonstrate how to deploy our barcode scanner to the Raspberry Pi as well! To learn more about reading barcodes and QR codes with OpenCV and ZBar, just keep reading. Today’s blog post is broken into four parts. In the first part, I’ll show you how to install the ZBar library (with Python bindings). The ZBar library will be used together with OpenCV to scan and decode barcodes and QR codes. Once ZBar and OpenCV are properly configured I’ll demonstrate how to scan barcodes and QR codes in a single image. 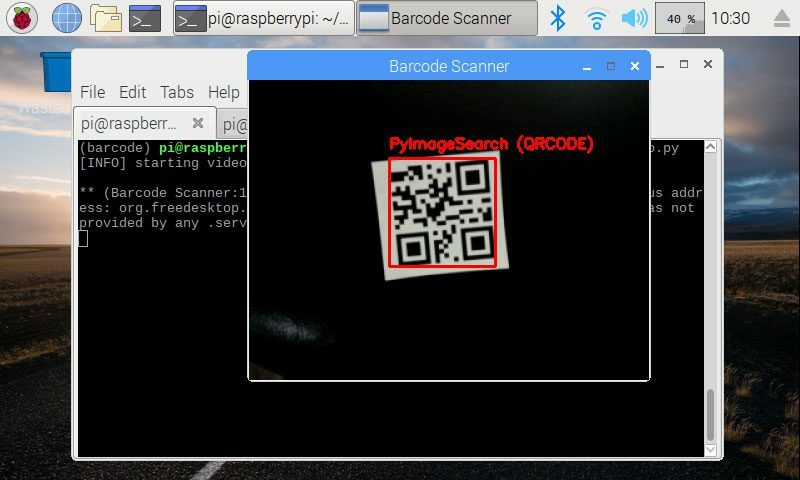 Finally, I’ll demonstrate how to deploy our real-time barcode scanner to the Raspberry Pi. A few weeks ago Satya Mallick from the LearnOpenCV blog posted a really great tutorial on using the ZBar library to scan barcodes. Detect and localize exactly where in the image the barcode is. Installing the necessary software is an easy 3-step process. Use an existing virtual environment that has OpenCV ready to go (skip this step and head to Step 3). Or create a new, isolated virtual environment which involves installing OpenCV. Virtual environments are a best practice for Python development and I highly encourage you to make use of them. Note: If you already have OpenCV installed on your system you can skip the OpenCV compile process and simply sym-link your cv2.so bindings into the site-packages directory of your new Python virtual environment. If you’re trying to install pyzbar into the system version of Python make sure you use the sudo command as well. Figure 1: Both QR and 1D barcodes can be read with our Python app using ZBar + OpenCV. Before we implement real-time barcode and QR code reading, let’s first start with a single image scanner to get our feet wet. On Lines 2-4 we import our required packages. Both pyzbar and cv2 (OpenCV) need to be installed following the instructions in the previous section. In contrast, argparse is included with the Python install and it is responsible for parsing command line arguments. We have one required command line argument for this script ( --image ) and it is parsed on Lines 7-10. You’ll see at the end of this section how to run the script while passing a command line argument containing the input image path. On Line 13, we load the input image via its path (contained in our convenient args dictionary). From there, we call pyzbar.decode to find and decode the barcodes in the image (Line 16). This is where all the magic of ZBar happens. Beginning on Line 19, we loop over the detected barcodes . Extracting the bounding box (x, y)-coordinates from the barcode.rect object (Line 22), enabling us to localize and determine where in the input image the current barcode is. Draw draw a bounding box rectangle on the image around the detected barcode (Line 23). Decode the barcode into a "utf-8" string and extract the type of barcode (Lines 27 and 28). It is critical to call the .decode("utf-8") function on the object to convert from a byte array to a string. You can experiment by removing/commenting it out to see what happens — I’ll leave this as an experiment for you to try. Format and draw the barcodeData and barcodeType on the image (Lines 31-33). And finally, output the same data and type information to the terminal for debugging purposes (Line 36). Let’s test our OpenCV barcode scanner. You should use the “Downloads” section at the bottom of this blog post to download the code and example image. As you can see in the terminal, all four of the barcodes were found and properly decoded! Refer to Figure 1 for the processed image which has overlaid red rectangles and text for each barcode our software found. In the previous section, we learned how to create a Python + OpenCV barcode scanner for single images. Our barcode and QR code scanner worked well — but it raises the question, can we detect and decode barcode + QR codes in real-time? On Lines 2-8 we import our required packages. At this point, recalling the above explanation, you should recognize pyzbar , argparse , and cv2 . We’re going to parse one optional command line argument, --output , which contains the path to the output Comma Separated Values (CSV) file. This file will contain the timestamp and payload of each detected and decoded barcode from our video stream. If this argument isn’t specified, the CSV file will be placed in our current working directory with a name of "barcodes.csv" (Lines 11-14). Or if you’re using a Raspberry Pi (like me) you can use the PiCamera (uncomment Line 19 and comment Line 18). I chose to use my Raspberry Pi PiCamera, as is shown in the next section. We then pause for two seconds to allow the camera can warm up (Line 20). The actual action is arbitrary — we’re simply using the CSV file as an example. Feel free to update the code to include any notification you may wish. We open the csv file for writing on Line 24. If you are modifying the code to append to the file, you can simply change the 2nd parameter from "w" to "a" (but you’ll have to search the file for duplicates in a different way). We also initialize a set for found barcodes. This set will contain unique barcodes while preventing duplicates. On Line 28 we start our loop and proceed to grab and and resize a frame from our video stream (Lines 31 and 32). From there, we call pyzbar.decode to detect and decode any QR + barcodes in the frame . This loop should look very familiar if you read the previous section. In fact, Lines 38-52 are identical to those the single image script. Please refer to the single image barcode detection and scanning section for a detailed review of this code block. Lines 56-60 are new. On these lines, we check if we’ve found a unique (not previously found) barcode (Line 56). If that’s the case, we write the timestamp and data to the csv file (Lines 57-59). We also append the barcodeData to a found set as a simple way to handle duplicates. On Line 63 we display the output frame . Then on Lines 64-68, we check for keys and if "q" is pressed, we break out of the main execution loop. Finally, we perform cleanup on Lines 72-74. 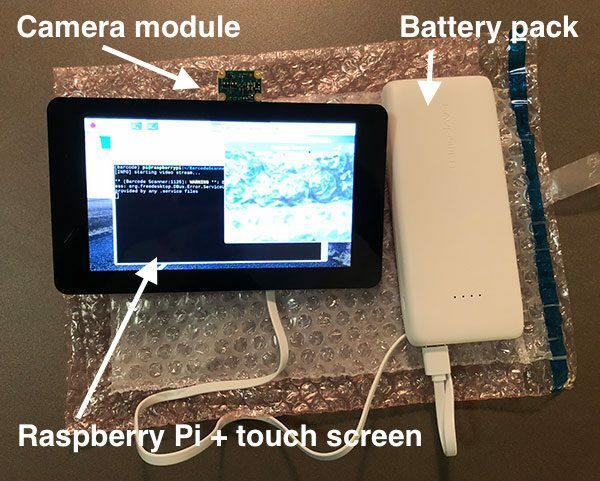 Figure 2: My Raspberry Pi barcode scanner project consists of a Raspberry Pi, PiCamera, 7-inch touchscreen, and battery pack. What fun is a barcode scanner if I’m limited to my desk? I decided that I’d like to take my barcode scanner with me using my Pi, touchscreen, and battery pack. Building the system is really easy and I’ve made step-by-step instructions in this blog post. Once your mobile ZBar barcode scanner is ready, use the “Downloads” section of this blog post to download the code associated with this blog post. Now you can present barcodes to the camera and when you’re done, you can open the barcodes.csv file (or if you’re so inclined you can execute tail -f barcodes.csv in a separate terminal to view the data as it enters the CSV file live). 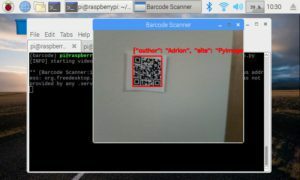 Figure 4: My website, “https://www.pyimagesearch.com/” is encoded in a QR code and recognized with ZBar and Python on my Raspberry Pi. Success! It even works at many angles. Figure 5: An OpenCV barcode and QR scanner with ZBar decodes an image of a QR with ease. I deployed the project to my Raspberry Pi so I can take it on the go. No match for my OpenCV + ZBar + Python barcode scanner project! 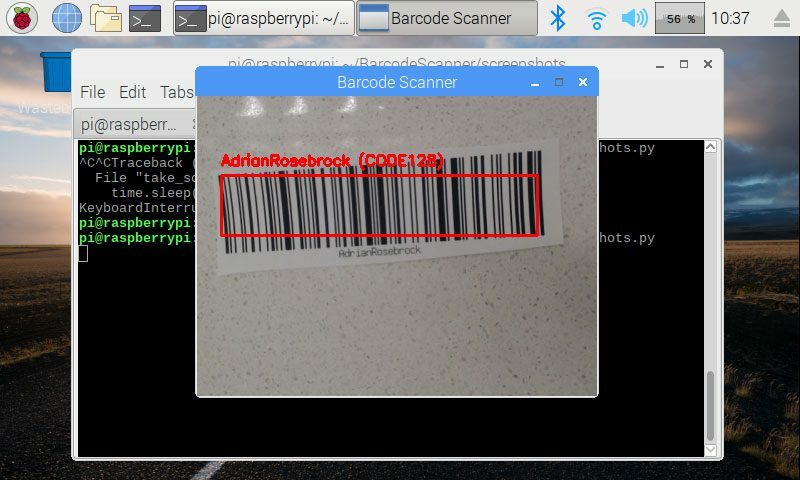 Figure 6: ZBar coupled with OpenCV and Python makes for a great Raspberry Pi barcode project. My name, “AdrianRosebrock” is encoded in this CODE128 barcode. 1-D barcodes are slightly more challenging for the system especially with a PiCamera which doesn’t support autofocus. That being said, I achieved a successful detection and decoding of this barcode as well. You might have best luck with a USB webcam such as the Logitech C920 which has great autofocus. Alternatively, you can actually change the factory focus on your PiCamera using the method that Jeff Geerling describes on his blog. If you’re interested in reading additional barcode blog posts on my website, check out the posts with the “barcode” tag. 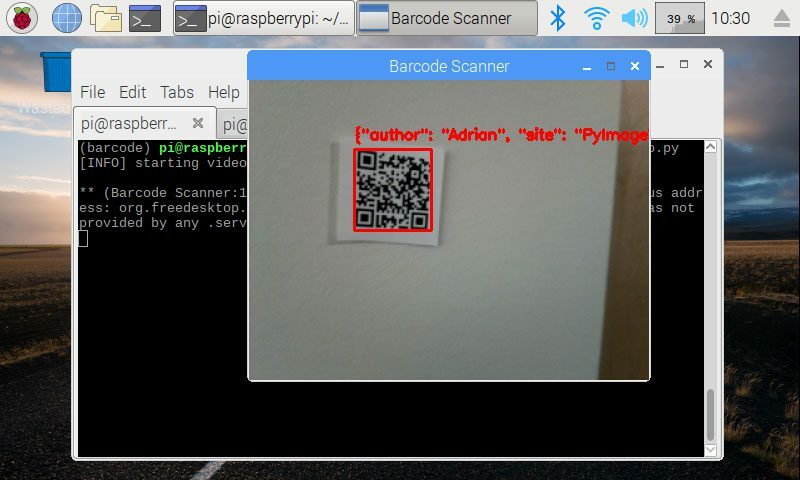 In today’s blog post you learned how to build an OpenCV barcode and QR code scanner. To accomplish this, we used the ZBar library. In both cases, we used OpenCV to facilitate the process of building our barcode/QR code scanner. Finally, we wrapped up today’s blog post by deploying our barcode reader to the Raspberry Pi. 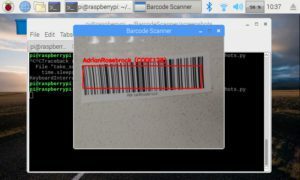 The barcode scanner is fast enough to run in real-time on the Raspberry Pi without an issue. Feel free to use this barcode and QR code scanner functionality in your own projects! And if you build something fun and interesting with it, be sure to share your project in the comments. I hope you enjoyed today’s post. I’ll see you next week. To be notified when future blog posts are published here on PyImageSearch, be sure to enter your email address in the form below! ” If you already have OpenCV installed on your system you can skip the OpenCV compile process and simply sym-link your cv2.so bindings into the site-packages directory of your new Python virtual environment”. Here you have mentioned to symlink the cv2.so file with site packages …How to do it? Can you please elaborate on that? Hey Nachiket — are you using a Python virtual environment? And did you follow one of my tutorials here on PyImageSearch to install OpenCV? Provided you used one of my tutorials, select the relevant one, and then follow the sym-link steps. Yes sir I have always followed your tutorials on creating virtual environment but I couldn’t find the symlink steps. I have recently followed the rpi stretch OS installation on Rpi, are symlink steps are involved there? If you are struggling with the process I would just recommend installing the ZBar into your current Python virtual environment. It is interesting. You are increasing my hope to continue my research in the field of IoT. Waiting for more posts. Please do not share your email address directly within a comment. You can contact me via the PyImageSearch contact form. Hi, first thank you very much for your excellent tutorial, super clear and complete as usual. 1. How many fps do you achieve on the rpi3? 1. I did not compute the raw FPS but the barcode detector was easily running in real-time on the Raspberry Pi 3. 2. You could certainly do that as well; however, you should be careful when doing it. There are times were you might want to display the full size output frame but process a smaller version of the frame for efficiency/accuracy. A great example would be processing all frames in a video file and writing them back to disk. It’s a use case decision to be mindful of. Hi Adrian, first of all thanks for this great tutorial! I have a couple questions on how I can further improve the system. I tried running the python file with some images of my own (of objects with QR codes on it) but it would not detect the QR codes at all. Is this because of noise? Or could it be that the size of the QR code in respect to the image overall is too small? I have also tried to run it with a resized and enlarged photo, but it does not seem to work and I’m not sure what next steps I should be taking and would like some advice. This could happen for many reasons, including noise, the QR code being too small, or an issue with your camera sensor. Unfortunately I’m not sure what the issue would be without seeing an example image of what you’re working with. Hi Adrian, thank you for your great tutorials! For a running project I tried to combine some of your blog posts. I would like to detect DataMatrix Codes in an Image or Video-Stream. Unfortunately ZBAR does not Support Datamatrix Codes. I tried pylibdmtx (https://github.com/NaturalHistoryMuseum/pylibdmtx ) and it works fine for perfect separated and aligned Codes but (of course) not for detection within an image or video. I gave OpenMV a chance but the result was very slow an not suitable for small Codes because of the low resolution of the camera. Can you give me a hint, how to detect DataMatrix Codes in OpenCV? It sounds like you may want to continue working with the pylibdmtx library for the project. I don’t have any experience with that particular library but if you’re having issues detecting/reading the DataMatrix codes you may want to try cleaning up the image and extracting just the barcode before you try to pass it into the library. thanks for this tutorial. I did some experiments: the software recognizes correctly the bar code only if it’s very close to the camera (2/3 inches). 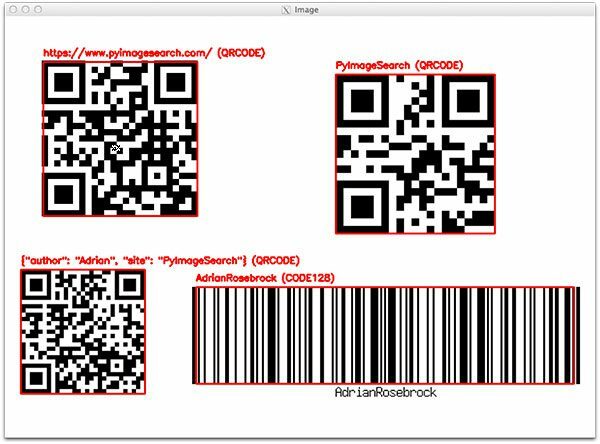 It will be great to implement an object recognition for bar code images in a frame, crop the rect and pass it to pyzlib. Using a HiRes camera (FullHD) it would be possible to increase the results. You could do this but you would need to train your own custom object detector. HOG + Linear SVM would be a good start. You may want to take a look at deep learning object detectors as well. The code in this blog post already works with a webcam. See Lines 18 and 19 of the barcode_scanner_video.py script. If you are using a Python virtual environment make sure you access it when you install pyzbar and when you run the code. so why did the importError happened? Are you using a Python virtual environment? If so, you can’t use “sudo” as sudo will install into your system Python. Instead, use “workon” to access your Python virtual environment and then “pip install imutils”. If you’re not using a Python virtual environment let me know. I’ve tried to put some set parameters but every time I get aan AttributeError. The VideoStream class is not intended to have the camera properties set that way. I have an idea to update the “src” attribute with a pre-initialized cv2.VideoCapture object in the future but haven’t been able to. I was thought about to make a mini project on the technology-based something and after visit this blog I have got the idea to try this in my project using zbar for scanning barcode and QR code. keep posting this kind of interesting technology-based experiments. You may want to consider resizing your image and increasing the resolution of your input image prior to passing it through the detector. Dear Adrian, firstval i congratulate you for the great qork you’ve done. I have a question, i’m just a beginner, can i get the streaming from an IP Camera with VideoStream Class? Thanks. Provided you use vs = VideoStream(src="your IP path") it should work. I had some issues with ZBar detecting some barcodes. It always worked really well for QRcodes but not always barcodes. I think it may be a limitation of the ZBar library itself. My PiCamera was initially unable to detect barcodes because the image itself was too blurry, so it wasn’t able to detect the barcode. Manually adjusting the focus (rotating it counter clockwise) of the camera fixed this for me. Keep in mind, the camera is now essentially set up to only focus on close-up images, and is blurry further away. I was able to rotate the focus using my fingernails while supporting the base of the camera. Hope this helps get a more crisp image! what if i have an entry of almost 50k barcode values in the csv file and i have to cross check one value that i read using a code that goes through the main csv file. How much time in average will it take if the particular barcode value is almost at the last of csv file. I would suggest you run an experiment and see as it will depend on which hardware you are using. Generate 50K barcode entries and then run your matching algorithm. the frame rate for real time barcode snanning is low. any method that can increase the frame rate for video using a webcam. Hey John, did you try the code on your system? The frame rate is actually much higher than it appears on the GIF animations. To create the GIFs I just wrote a Python script to take a screenshot every two seconds. Hey Adrian, great tutorial, I got this up and running in no time. I was hoping to use this through ssh, and I was able to do that by commenting out the cv2.imshow line, and that allows it to work well enough for me. However, it would be a great bonus if I could stream the actual video via ssh in addition to the data. Is that doable or would that be a whole additional project? hey adrian first of all thanks for this wonderful tutorial,i got the output but i need to print the barcodes in a seperate terminal how can i do that? What do you mean by a “separate terminal”? What if I use this on a raspberry pi controlled drone? Will it be able to detect the QR code while the drone is moving at a certain speed? There is probably a threshold speed for this right? Is that speed high enough? But i have installed it on my virtual environment… Can you please explain what is the problem here??? Hey Fariya — my guess is that you may be forgetting to install pyzbar into your Python virtual environment and/or you installed pyzbar outside the Python virtual environment but are trying to execute the code within a virtual environment. Any idea how to try to detect a 3cm*3cm from 3 to 5 m away? 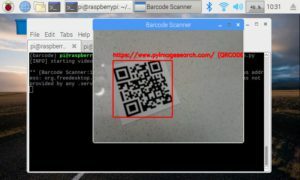 hi Adrian, thanks for this great topic, I have a question, in my case i have a server that generate qrcode, i want to post them to a raspberrypi connected to turnstile door, so when a person scan the qrcode the raspberrypi will check the database in the server and if the qr exist it will trigger the door. do you have an idea what is the best way to implement it and in real time? Hey Syed, this sounds less like a computer vision problem and more like an actual “engineering” problem. If you’re new to basic web servers and databases I would suggest you read up on them first. I’m happy to help and provide suggestions but again, I ask that the questions be related to computer vision. Take a look at Line 32 — that line will control the spatial dimensions the input frame is resized to. I tried the video stream option with both pi camera and a USB web cam, neither one recognizes the QR code in it. I adjusted the USB web cam focus to make sure the video quality is clear to show the QR code, however it still doesn’t recognize it. When I tried to take still picture of the QR code printed in a piece of paper held in front of the USB Web Cam, it turned out ok. So is this because pyzbar can’t recognize the qr code in the video feed or something else about the web cam? I didn’t see any error message printed out. This is absolutely brilliant. Is there a simple way to break down a large text file into several qr codes and then put it back together? Thanks Daniele, I’m glad you liked the post. As for “breaking down larger text” I’m not sure what you are referring to. Could you elaborate? Nice Tutorial, What should I do if I want to save the detected code(QR) in a text file or redirect the URL in a browser. Could you please explain? The code covered in “barcode_scanner_video.py” already shows you how to save the decoded QR code to a text file. Please refer to it. 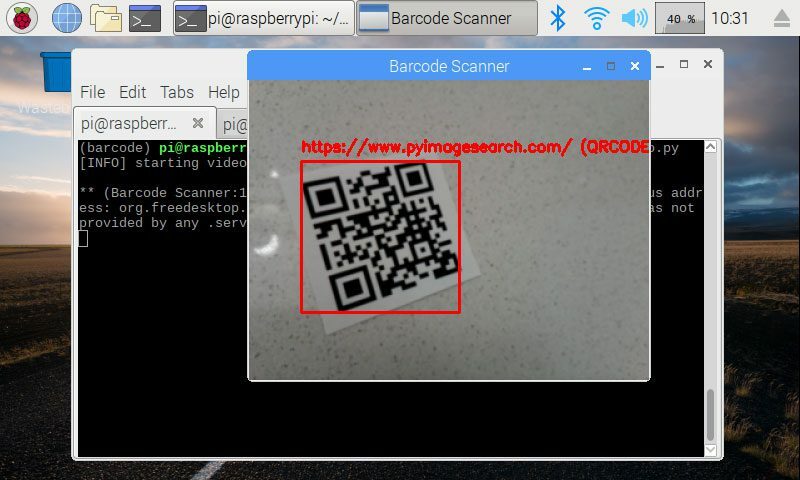 Is Raspberry pi zero could use with the an openCV barcode and QR code scanner with Zbar?? I haven’t tried but I assume it would work. Nice tutorial, I could use it to make a quadcopter. A quadcopter that does barcode recognition…? I’m not sure how that would work exactly. Quadcopters move very quickly and often introduce motion blurring into frames. Barcode scanners on the other hand normally require high quality images of the barcodes. Realistically I think you would struggle to make such a solution work. thanks adrian for ur awesome tutorial , i have already successfully install open cv in my raspbians…Back to my question, I apologize for asking a newbie question, but may i know WHERE DO U insert all these codes from line 1 onwards , is it through the terminal or other platform ? You could use your favorite text editor or a full-fledged programming IDE. I really like Sublime Text 2 and PyCharm. hi adrian, i have a problem with the code in real time. Thanks for the post. I have been struggling to get OpenCV to install, so I followed the PIP install, and got that completed, inside the Virtualised env. I then installed the ZBar tools in the same environment. Any ideas? I am just using an image with two barcodes on it.. taken with the pi cam. The issue was I am trying this via ssh… rather than via the GUI on the Pi. Any tips to getting this working via SSH? I would research the Google Docs APIs. I’m not familiar with them but I’m sure it’s possible to programmatically access a Google Sheet and add the data. That’s really outside the context of the blog post though. Best of luck with the project! Hello Adrian, Can i get decode qrcode and stop video stream to next step like access door lock or query to database ? i tried your code but i couldn’t query to database because result decode is stream and not stop when take/decode qrcode. Sorry Ricky, I’m not sure what you mean here. Is your goal to detect a QR code and then have it perform an automation like open a door? On the Raspberry Pi Zero W, I was receiving an “Illegal instruction” error while trying to run the code samples. I found a [github issue](https://github.com/jrosebr1/imutils/issues/76#issuecomment-412330063) that explained what was happening. Indeed, it’s a strange issue. I truthfully have no idea why it’s happening. how can I break the while loop after i have scanned the code or codes I want? Press the “q” key on your keyboard with the window opened by OpenCV active. I would reach out to the zbar developers directly and ask them what else you could do to improve accuracy for Turkish characters. Posting was really helpful! 😀 By the way, I want to control the relay using the QR code. Can you tell me how I would like to operate the relay if it recognizes the QR code? What “relay” are you referring to? I suggest you consult the documentation of your relay. Excelent Adrian but when running my code a “ValueError: too many values to unpack (expected 2) ” appears so i don´t know if it is because it is a utf-8 decoding and zbar asks for a uint8 type. Thank you!!!!!!!!!!!!!! What line of code is throwing that error, David? I need to make a qr code scanner for a schoolproject so I followed your guide. I copied your code to a text file (with nano) and then changed to rights to make it an executable file. Then I went out of the virtual workspaceto test it using “$ python barcode_scanner_image.py –image barcode_example.png” but it says “command not found”. do you have any idea what I did wrong? (I’ve also tried to execute it in the ‘barcode’ workspace but same problem. And the image to test is in my download folder. Thanks a lot! Don’t copy and paste the code — make sure you use the “Downloads” section of the tutorial to download the source code and example images. You may have introduced an error while copying and pasting. Thank you for all your incredible tutorials, they are well explained. the library Zbar work only for barecode and QRcode.there is a library for datamatrix decode.Can you help me to decode a datamatrix from a picture. I want to import serial Real-time barcode and QR code reading with OpenCV this code. but I get an error. please Could you tell me how? What is the error you are receiving? Without knowing the error I cannot provide any suggestions. I want to make serial communication with Arduino. Thank you. Thank you so much for this example, personally I had to download another lib packages to my raspberry to use imutils and cv2. After this I could manage to get everything running. Just some questions, the reading seems a little bit slow and it shows the rectangle from the raspi cam very small. Do you know how can we improve this to visualize everything better? And also, I cannot seem to read any barcode, just some QRs. 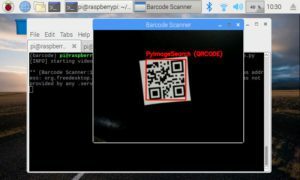 Does the barcode_scanner_video.py works for both? Hello I managed to read barcodes by adjusting the camera lens focus manually because the image was very blurry. Now it works great! I can read almost any barcode and tons of QRs. For the reading speed, I didn’t actually needed to store the data on a csv file, so I comment that code lines and the everything improved a lot. I changed the code a bit to have live video since the beginning and to toggle a green led whenever it detects a qr and a barcode I stored before and a red led whenever the barcode/qr is different. I will post my code here once I finish everything. Please share your code with us. I want to develop same project, it would be so helpy. Thanks alot, I look forward to your response. Hi so I have been having a problem with Zbar and I was hoping you could help. I have it so I can scan and decode the qrcode but the problem is that it just shows it under my command(I am just using the raspberry pi terminal) and doesn’t do anything with it. Say if I have a url encoded into my qrcode and I use the zbar to decode it it just shows a url code verse actually putting the url in a browser or even a text file. Do you know of a way to export the output of pyzbar? The code in this tutorial is meant to show you how to extract the value of the QR code or barcode. Exactly what you do after you recognize the code is up to you. It sounds like you want to take the URL and automatically open it in a browser. That sounds very OS and GUI specific so I would suggest you research OS and GUI libraries that can control your browser. This is fantastic! Looking forward to trying the 2nd part with a webcam. Very nice tutorial and Thanks. I have one issue , it reads all qr codes except white barcodes . Is there any option for that? Have you tried inverting the barcode? I would suggest reaching out to the Zbar library developers if it’s specifically related to a type of barcode. Great project you present here ! i was wondering, is there a way to shut down the streaming once the barcode is detected ? Once you’ve detected a barcode and read it you can break from the while loop and shut down the streaming. Your work is great, thank you very much. But I have a problem, that is, the recognition of Chinese garbled. For example, “中文” cannot be decoded correctly. I have been trying for a long time and can’t realize Chinese recognition. I haven’t tried using ZBar with Chinese characters. There is a thread regarding the question on the ZBar forums, I would suggest starting there. I have a problem, I hope you can give me some suggestion to fix it. When I run the script the writing “[INFO] starting video stream…” appears. After that only when I put a QRcode in front of the PiCamera the “barcode scanner” window opens, but it is black, no image on it. Do you have any idea to fix that? It sounds like a problem with the Raspberry Pi camera module. See this tutorial for a solution. Reading a barcode from long distance is not possible. Does it depend hardware or code? How can detect and read barcode from long distance? I’m not able to install zbar library.I’m using ubuntu 18.04.Please help. What errors are you running into? Can you be more specific? Are you getting an error of some sort? That’s great, I’m glad it worked for you! Yes, but you’ll want to refer to the VMware documentation on how to allow access to your host webcam — VMware will block that by default. Hi, is there any additional argument or parameters which can be passed to the decode function that will allow for identical barcodes found in an image to be N number of Decoded data? I don’t think there is but you should consider reaching out to the zbar library developers for a more conclusive answer. Please can you help in resolving this issue and Thanks alot. Are you using a Raspberry Pi camera module? If so, Make sure Line 18 is commented out and Line 19 is uncommented. Thank you for the code. Works perfectly. I ran in on my Macbook. Minor modification and I got it the way I like it. Thanks Budi! And congrats on a successful project. Which are the other Python barcode decoding library apart from zbar ?